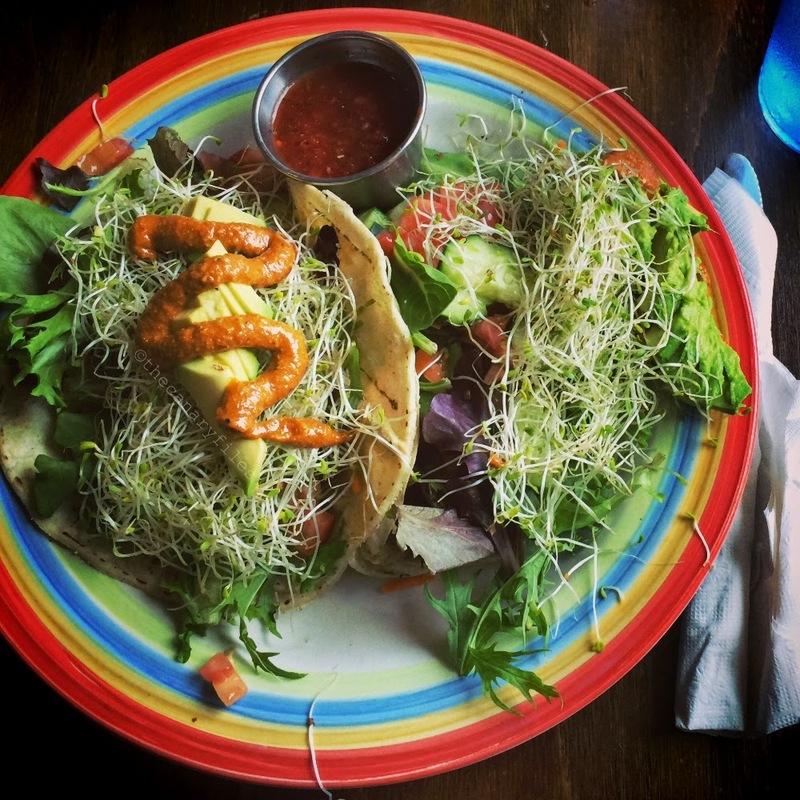 Gluten-Free & Vegan in Austin! I don't know about you, but whenever I travel, the first thing I do is look up restaurants. Every day is scheduled, more or less (usually more), around where I am eating. Visiting culinary landmarks, sampling local cuisines, and having the opportunity to branch out from my comfort zone and broaden my palate. Now, with my dietary constraints, while venturing beyond is a good thing, I still need to be super careful. One wrong roll of the dice and I could be spending the rest of my trip under the sheets in the fetal position. So how best to find that information? Well, in my opinion, from the locals who are both gluten-free and vegan. Many restaurants now have gluten-free or vegan designations in their menu, or even a separate menu that isolates gluten-free items, particularly if they are a chain. Which is great. But that does not always translate to how the food is handled in the kitchen or how it is plated and it does not mean that precautions are taken to minimize cross-contamination or that questions about gluten free or vegan can or will be answered. I used to scour Yelp and Urbanspoon, which would help me narrow down the list, but it would often still leave me with doubts. Would this be a place where I could feel safe dining out? So, on recent trips, I have adopted the new practice of looking up gluten-free and/or vegan bloggers in that neck of the woods. Do they have a post on their favorite spots? Or if they didn't, I would write them an email, requesting their recommendations. When in Rome, right? A LOT of people come here throughout the year, whether for the University, for work, for conventions, or festivals. And as we are about to open the floodgates for SXSW in just over a week, as a local of 13 years, I feel that the least I can do is share some of my knowledge of the places that have taken care of me - gluten-free, vegan, and all - and gone above and beyond. So, without further ado, please allow me to welcome you to the Capital of Texas with a list of some of my favorite "roosts." Ah, the rich, aromatic, and invigorating spices of Ethiopian food. Whenever I feel that both my body and soul are hungry, I immediately go here. The space, itself, is unassuming, but truth be told, that is a common characteristic of many of my favorite spots. A family-owned business, everyone who works here is very warm, friendly, and attentive, and food is very reasonably priced and prompt. 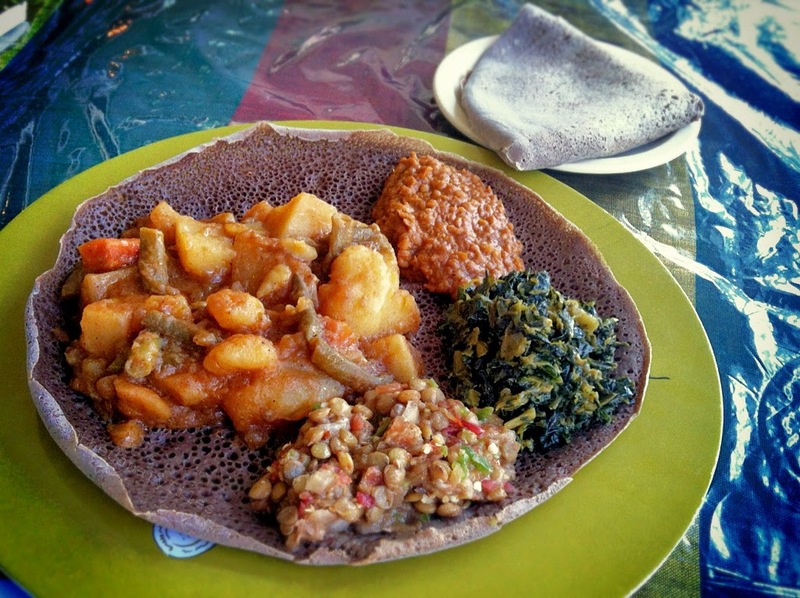 I usually order the Alicha Miser lentils as my main dish with the Gomen collards, Atakelt Wott cabbage stew, and Azifa cold lentil salad as my sides over the gluten-free injera. They have a wonderful buffet during lunchtime, so go check that out for even greater savings. I would definitely call in advance to make sure they have gluten-free injera - during the weekends and sometimes during the week, it can sell out. Whenever anyone who is visiting wants to go out to eat at a place that is "uniquely Austin," I think of no other place but here. 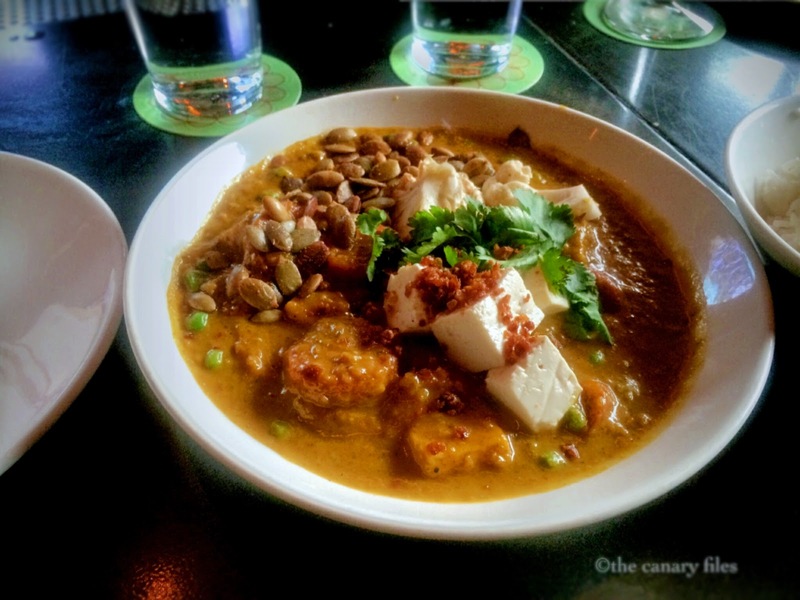 A vegetarian restaurant in the eclectic heart of South 1st Street, from the graffitied exterior, the cactus gardens, the art hanging….everywhere, to the servers who are anything but cookie-cutter, the energy of this place encourages the defiant drummer in all of us. My favorites are the Tarzan Salad, the South Austin Stir Fry, and the Kool Summer Tacos. They also have a really unique drink list, both alcoholic and non-alcoholic, so definitely check that out! Note that they can be really busy during the weekend, especially during brunch, so call ahead or at least budget ample time to wait. 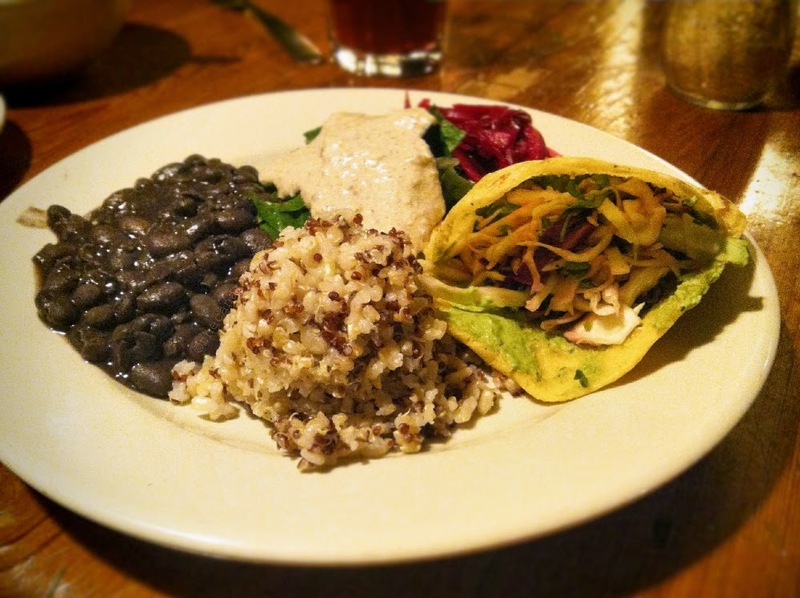 Sprouted grains, black beans, cashew sauce & chard, marinated salad stuffed gordita. This place is a sanctuary. Just on the outskirts of Downtown Austin and now nestled between two new condo developments, this educational community fosters holistic wellness, meditation, healing practices, and a wonderful macrobiotic restaurant. If you need to detox from the hustle of the everyday (or the sardine packed energy of whatever festival you may be attending), than do yourself a favor and stop here. The way it works is that you pay a flat fee for your meal at the front, you help yourself to a bowl of soup, hot tea, and a salad, and then they will bring your meal to you. The menu is the same for everyone, changes daily, and is always gluten-free, vegan, seasonal, local, and organic. The dining space is open, so you could definitely find yourself a secluded nook or your could choose to sit close to others community-style. And their desserts (which are purchased a la carte outside of your initial meal fee) are now all gluten-free and vegan! So while this respite from the bustling energies of the outside always ends sweetly, now it can be doubly so. Peachy Green with extra ginger and durian! 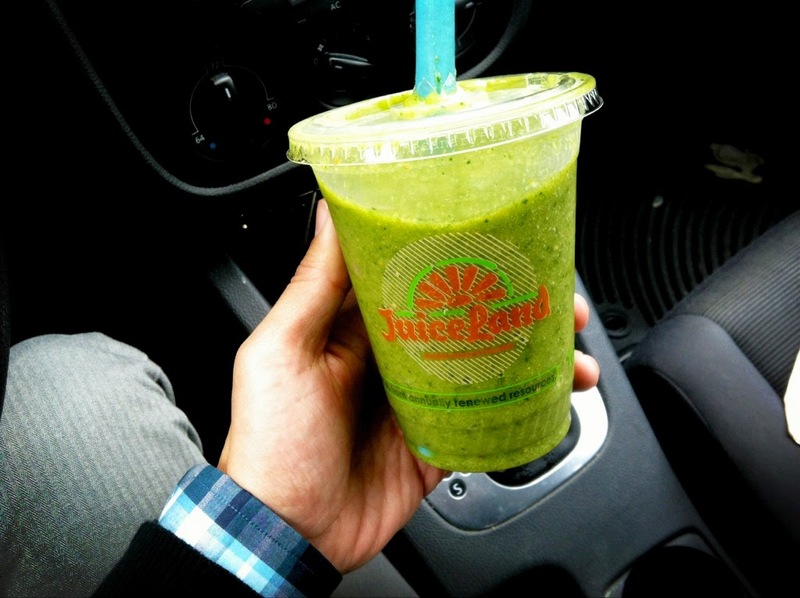 My go-to for smoothies when I'm on the go. Also very evocative of the "Keep It Weird" vibe if that is something you are wanting to experience. They have locations all over Austin, but my favorites would have to be the ones on Barton Springs, 45th & Duval, and on Burnet. Favorite juices: Recovery Punch, Ninja Bachelor Party, The Fountain; Favorite smoothies: Originator, Vegetable Kingdom, Peachy Green, Kaleibrator. They also have a great selection of prepackaged meals that are all gluten-free and vegan, of which I especially enjoy the Super Happy Fun Sushi Bowl and the Double Rainbow Quinoa Salad. And if traveling has gotten you down and you're feeling low energy, ask for their Fireman shot - it will fix you right up! This family-owned restaurant in the heart of Downtown Austin seeks to offer "Asian-inspired dishes that are healthy, affordable, and quick." And it does that in spades. It's all counter service, so ask for the gluten-free menu and they will give you a specific guide that points out the dishes that can be made gluten-free and which ones will need different accompanying sauces. I simply cannot/will not eat here without having the rice paper-wrapped hummus rolls (with spicy sauce on the side), and I almost always order the Mix Mix BiBimBap with the stir-fried mushrooms and avocado as add-ins (with gluten-free tamari on the side). And as a note: These are "Asian-inspired dishes," so if you're looking for a traditional Korean hot plate BiBimBap, you won't find it here. But what you you will find is wonderful flavor and heart where vital, happy ingredients are the star. It can be very busy on the weekends, so bear in mind that wait times will be extended and that you may have to stand until a table clears. But, hey, have an awesome bubble tea while you wait! I am a sucker for good falafel, and living in Michigan for most of my life, I was rather spoiled by its sheer abundance. 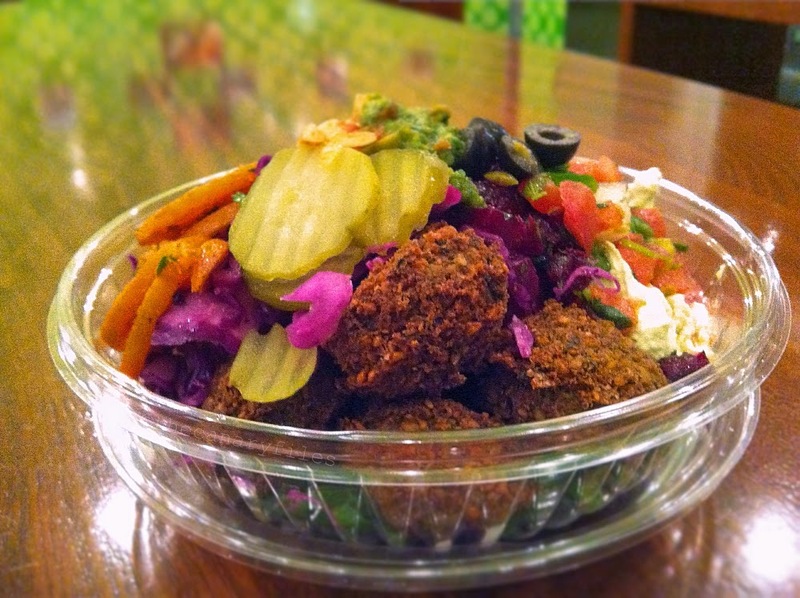 But, allow me to happily say that Maoz' falafel passes the test with vibrant colors. Fried in a dedicated fryer, they are crunchy on the outside, beautifully garlicky and herbaceous on the inside, and the salad bar they provide has a bounty of textures and flavors to pair with them in your salad bowl. I will often add both hummus and avocado to my bowl and then pile on the toppings before drizzling it copiously with their delicious tahini sauce and something spicy. Quick, polite counter service and very affordable. My latest discovery on this list. 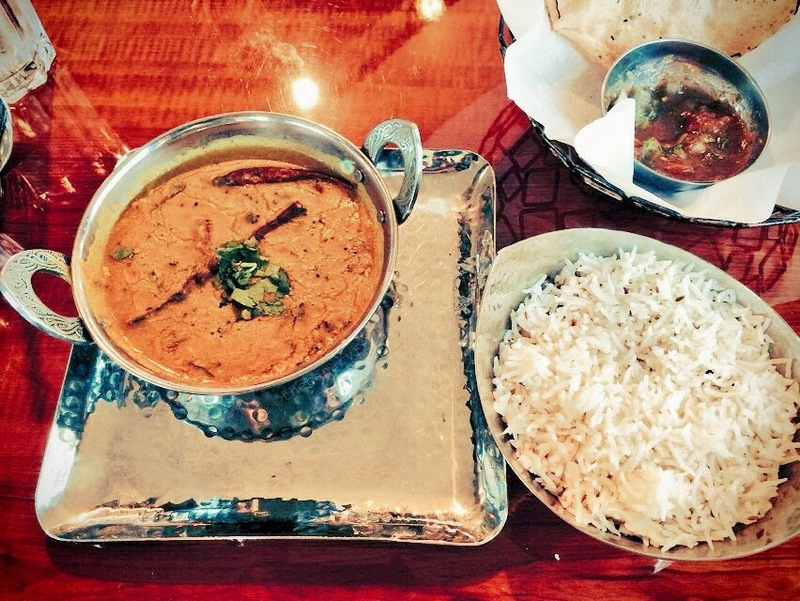 A wonderful blending of traditional Indian flavors and Austin Tex-Mex flair, it is a cute little restaurant on 7th street just east of Downtown that not only has delicious gluten-free and vegan options, but is also open late (until Midnight Sunday-Thursday and until 2am Friday & Saturday). I like their Chips & Salsa (a papadum served with mint chutney and pico de gallo) and have thoroughly enjoyed their Dal Tarka Malvani, Ghati Masala Dal, and Sprouts Bhaji (the last one in particular). While GF and Vegan designations are present on the menu, a server can further point out options that are both gluten-free and vegan accommodating. 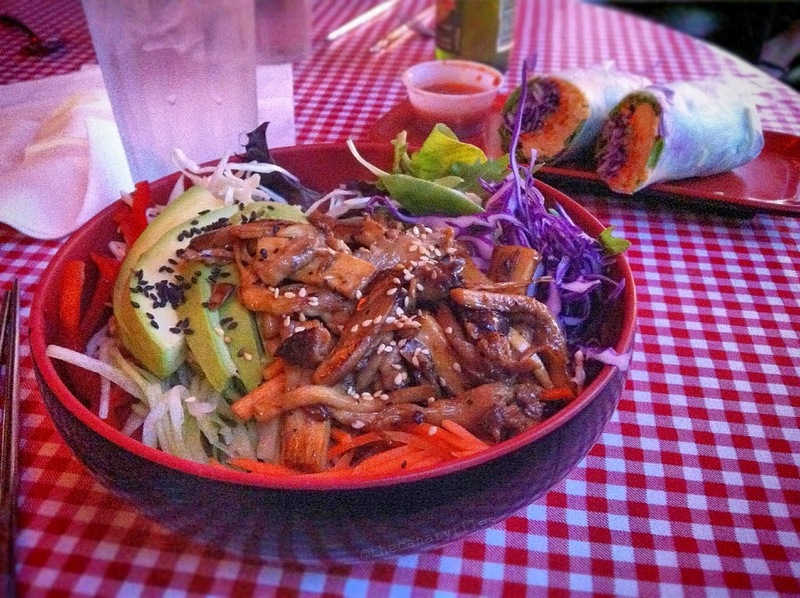 Great prices for great food and thumbs way up for late-night hours. 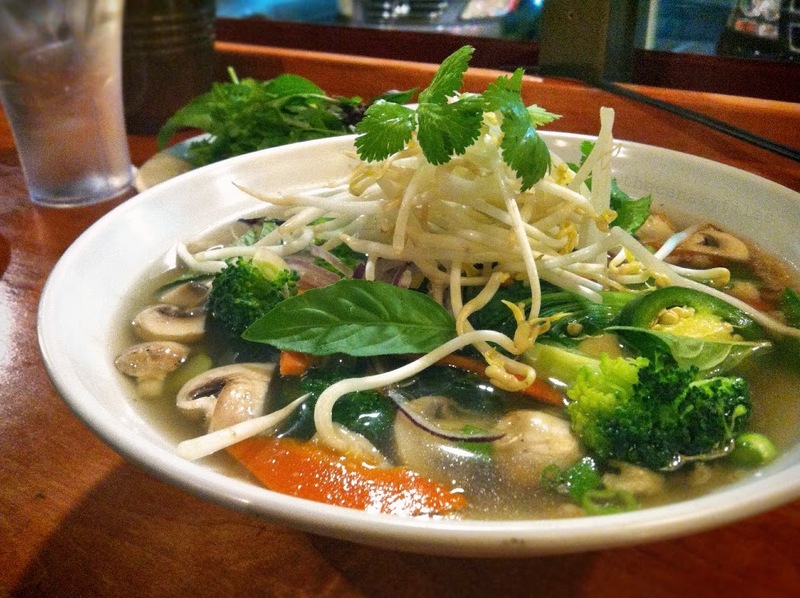 There are multiple Pho Thaison restaurants in Austin, but the one I am specifically referencing is located on West Anderson Lane. The husband and wife team who run the kitchen and front of house treat me like family and are never too busy to stop and say Hello. And from our relationship, I did have a part to play in the addition of GF and Vegetarian/Vegan options to their new menus. They are open for lunch from 11a-3:30p and then reopen for dinner from 5:30p-10p, and are usually busiest around 12noon and from 5:30p-7:30p. A usual meal for me consists of a pot of Chrysanthemum Tea, an order of Veggie Spring Rolls, and either the Lemongrass Delight, the Vietnamese Crepes, or Vegetarian Pho. Affordable, wonderfully layered dishes that capture comfort effortlessly. Quick, easy, fresh, healthy pre-packaged food that satisfies a multitude of different diets. Sound far fetched? 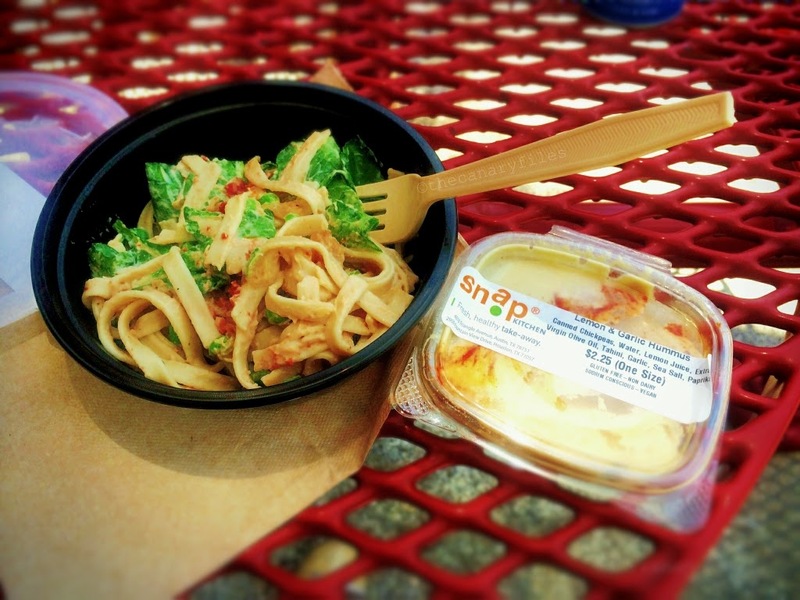 Not at Snap Kitchen. Whether it be low-sodium, carb-conscious, paleo, dairy-free, or you guessed it, gluten-free and vegan, there are options here. And delicious ones, at that. Highlights for me are the Maki Rolls, the Creole (Tofu) "Eggs" and (Cauliflower)"Grits," Siam Lentil Bowl, their Hummuses (all of them), and their Red & Green Salad. And I regularly stop in for one of their cold-pressed juices, of which I cannot honestly pick a favorite. Note that the menu changes seasonally - a big plus. They have multiple locations all over Austin, but I would recommend their headquarters at the Triangle. Friendly, informative service, quick to shop, and easy to stock up if you know you will need a few days' worth of food or juices. Buddha Bowl with quinoa, baked tofu, french green lentils, & kale. You saw this coming, right? Of course, I am going to offer up the restaurant where I work as one of my top places to eat out, not because I should, but because I can. And I will. There is a reason that I've been with them for almost 8 years, and that is their unfaltering dedication to quality and excellence and upholding their mission of having a place for everyone at the table. You will notice a GF or a V in parentheses next to menu item, which means that it can be made gluten-free and/or vegan, if it is not already gluten-free and/or vegan. Which, both fortunately and unfortunately, applies to most of the menu, so you may need time to take it all in. Budget time as well for the tea list, which includes over 100 loose teas, and please don't hesitate to ask your server for recommendation or guidance. 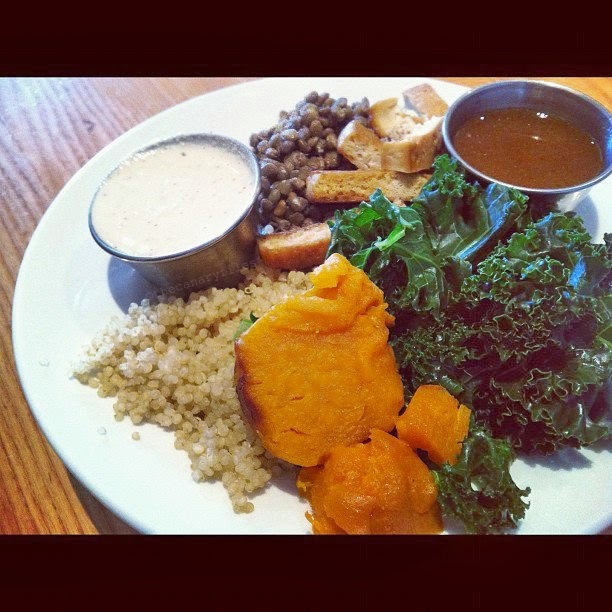 Easily the most popular item on the menu is the Buddha Bowl, which consists of the grain of the day, the bean of the day, the greens of the day, roasted sweet potato, protein(s) of choice, and sauce of choice on the side. I still get it nearly every day. The Napa Rolls make an excellent appetizer to share (go split with half tofu and half walnut/cucumber and be prepared to ask for extra peanut sauce). The salads are generous and bursting with fresh flavor, and all the dressings are gluten-free and vegan. Most popular are the Cashew Caesar and the Tao of Green, with my favorite being the vegan-version Rustica (no cheese, sub tofu) with hummus. And both soups will be gluten-free, and one, if not both, will be vegan, so if it's a cool, rainy day, you will be in luck. If you arrive before 11am Monday-Saturday, you will experience a lovely breakfast menu: the housemade maple pecan granola (made with certified GF oats; ask for non-dairy milk) or the Breakfast Bowl (with added hummus and/or tempeh bacon) are good places to start. And note that on Sunday from 10a-2p, there is an exclusive brunch menu that packs 'em in. Definitely recommend calling in advance to make a reservation for either location, and be sure to let your server know of your dietary needs at the start of the meal. Relax, savor, and enjoy. Enjoyed one of the best meals here for my last birthday. The attention to detail is apparent from the clean, meditative design of the space, what is featured on their menu, the thoughtful presentation of each dish, and the level of hospitality offered by each server. Similar to The Steeping Room, a GF or V will be featured next to certain items, but here, V stands for vegetarian. 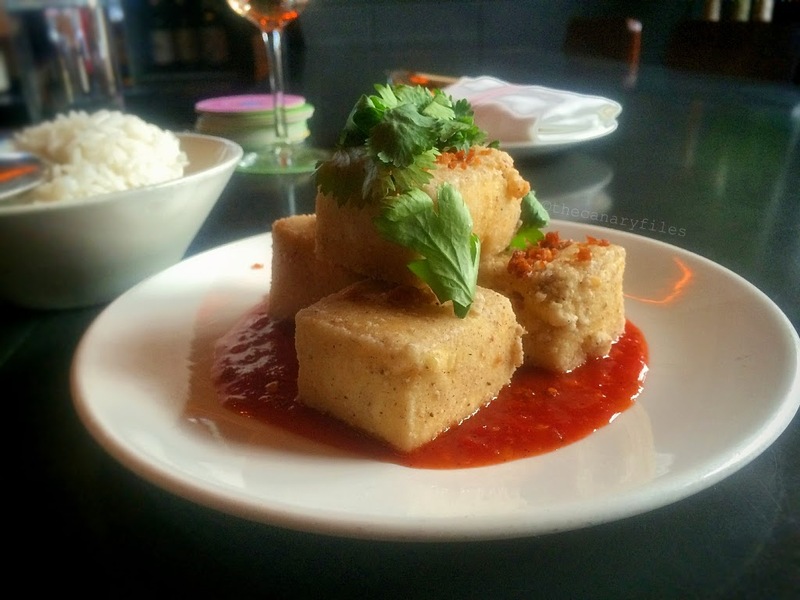 I loved their salt & pepper tofu with house made sambal, and their Northern style squash curry (pictured at the top of the post) inspired me for months. I love that they offer drinking vinegar and my favorite Kosmic Kombuchas on tap here, so definitely take advantage of that. 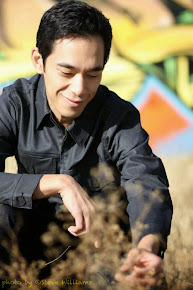 A wonderful experience with beautiful ambiance and some of the best service you may find in Austin. Note that they do not accept reservations for parties smaller than 10 (which will necessarily coincide with a designated group dining menu), so arrive early! 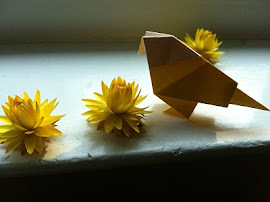 Thank You, as always, for reading and supporting The Canary Files. Wishing You Love and Light in Abundance. Yes - it is wonderful to have a gluten-free dedicated bakery/restaurant in Austin. And even though I very rarely eat bread nowadays, I appreciate that they have pretty tasty gluten free and vegan breads available for sale at the front counter. Thank You for your comment, Lindsey! 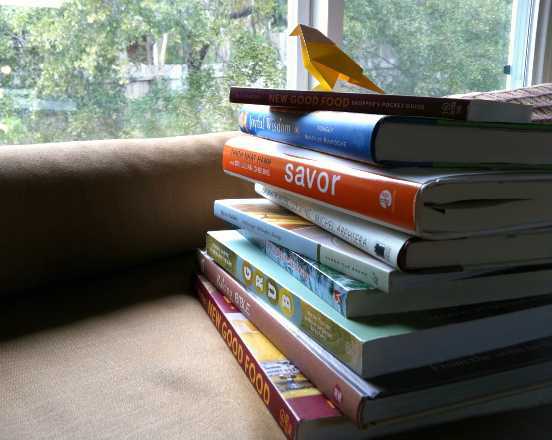 I know that so many people will appreciate this cornucopia of knowledge. This post gives me life! Thank you!